Really pleased with the Excellent service we received from Jason and his team. We talked to several architects when planning how to bring our derelict property back to life, but chose JPK as Jason was very approachable and professional and understood what we wanted to achieve. He put our vision into plans, made the planning applications easy work and help us to choose a builder. He also helped to resolve engineering dilemmas we found along the way, including finding a large well! We are very happy that we used JPK and grateful that they helped us transform a damp, derelict house into an amazing family home that we love. Would highly recommend. Jason and his team made an impossible task appear relatively simple. Great work, excellent value for money and we couldn’t recommend him highly enough. Jason did some plans for me some 10 years ago so I had no hesitation in asking him to look at my latest project. He is easy to talk to and comes up with ideas I had not considered, just the kind of assistance you need when planning building work. 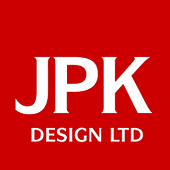 I would recommend the services of JPK Design. Thank you Jason for providing the architectural vision to help transform our house into a spacious and beautiful home. Excellent service from start to finish! We wanted some plans drawing up for a kitchen extension and JPK was recommended to us by a hard to please family member who had raved about the quality and service so we thought we would give them a try. We were not disappointed! From start to finish Jason and his team were prompt, professional and went above and beyond what was required of them. Jason produced extremely high quality plans and gained building regulations without any problems, they even helped us out and advised us on a few extra issues with drains. We will definitely use them again in the future! Thanks to all at JPK. JPK designed our double garage and helped when we had problems with the planning department. 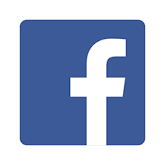 JPK also came back when we came across problems with the foundations and worked with us to design an alternative solution which satisfied the building inspector, a very good service and would highly recommend. We have used Jason on a couple of projects and always found him to be very professional and knowledgeable, with some wonderful vision and ideas. Karen is always very helpful and informative, answering general queries and keeping us updated on the progress of our applications. Our extension has turned out fab! We contacted Jason and his team with the aspirations to add an en suite upstairs and turn the kitchen into a kitchen/diner. What he came back with was outstanding, he managed to include another bedroom and utility plus our original needs. Skills us muggles wouldn't understand. Would recommend to anyone. Jason drew up some plans for us. When a few issues were uncovered during the build he was right there sorting it out so our builder could carry on without delay. 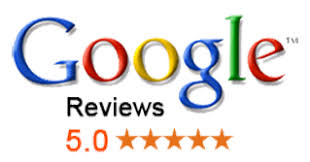 We were very pleased with the efficiency of JPK and have no hesitation in recommending them.